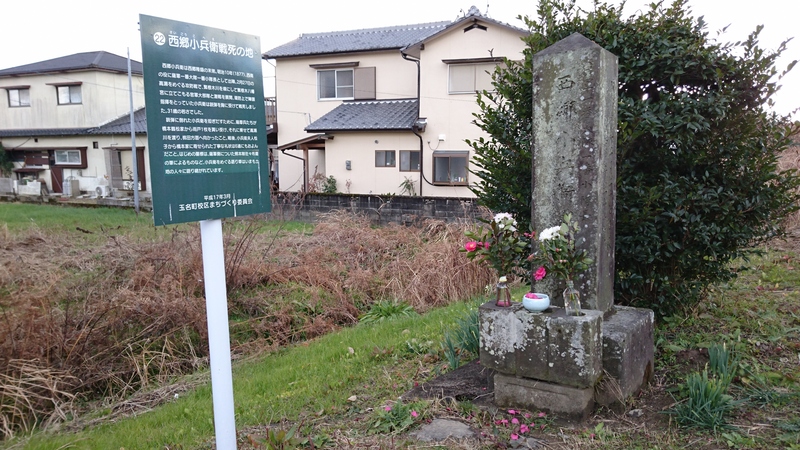 On the bank of the Hanegi River, a monument stands to Saigo Kohei, who died in battle. Kohei was shot in the chest in 1877 while assaulting the government forces in the area around Hanegi Shrine. He died in battle at the young age of 31. He is said to have been a very composed and thoughtful man.